It’s one of two principal ways for a U.S. citizen and foreign citizen to unite in the United States. Alternatively, the couple could marry outside the United States and the foreign spouse would immigrate as an immediate relative (spouse of a U.S. citizen). Each path has unique trade offs. 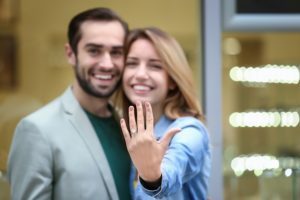 For a closer look, read into K-1 Fiancé Visa or Marriage Visa: Which is Better? We’ve assembled a detailed K-1 fiancé visa overview that provides a breakdown of the different steps in the path to a green card. Meet the requirements set in the International Marriage Broker Regulation Act of 2005. Before the foreign citizen can apply for the K-1 visa, the U.S. citizen spouse must file a petition that establishes a qualifying relationship. In other words, there’s a process to confirm that there’s a legitimate relationship that includes an evaluation of the requirements listed above. The process begins with the U.S. citizen filing an I-129F petition package with U.S. Citizenship and Immigration Services (USCIS). The primary document in this package is Form I-129F, Petition for Alien Fiancé. Additional supporting documents may be necessary. Therefore, refer to your USCIS instructions or your personalized filing instructions from CitizenPath. When you prepare your petition through CitizenPath, we will generate personalized filing instructions based on your specific situation. The instructions provide detailed guidance on supporting documents, samples, how to organize the package and where to mail. Passport valid for at least six months beyond intended period of stay in the U.S.
Each U.S. embassy may have slightly different K-1 visa requirements and may request additional evidence. The consular officer may ask for additional information, such as photographs and other evidence of a bona fide relationship with the U.S. citizen. Therefore, refer to your specific NVC letter when fulfilling the requirements. Once these requirements have been satisfied, they will schedule an interview for the K-1 visa beneficiary. The time between the petition approval and an interview will be highly dependent on your ability to submit the required documentation and the government’s workload. 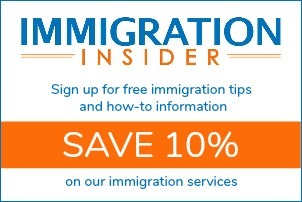 Generally, interviews are scheduled 2-3 months after USCIS approves Form I-129F. Get ready by reviewing possible fiancé visa interview questions. The entire K-1 visa timeline from petition to K-1 visa may take 6-9 months for typical applicants. Understanding the steps in this timeline is even more critical for engaged couples because of wedding plans. 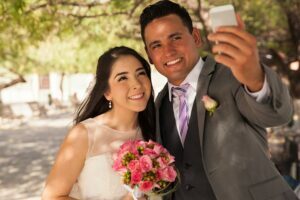 Planning for wedding ceremonies that involve a K-1 visa entrant generally require some flexibility. It’s difficult to know exactly when the embassy will issue the K-1 fiancé visa. For a closer look at processing times and steps, take a look at the K-1 visa timeline. Upon entry to the United States, the foreign citizen must marry the U.S. citizen within a 90-day period. The K-1 fiancé visa cannot be extended beyond 90 days. If there is no marriage, the foreign citizen is required to depart the United States by the 90th day. Of course, most marriages go on as planned. Typically, the foreign citizen spouse plans to stay permanently in the United States. In this case, he or she must apply for a green card through a process called adjustment of status. In simple terms, adjustment of status is the process of applying for a green card from inside the United States. An adjustment of status application typically includes several forms submitted concurrently. The green card timeline may take about one year. During this time, the foreign spouse is able to obtain work authorization and travel abroad, provide he or she submits the correct paperwork as a part of the adjustment of status package. For a deeper dive, read into adjustment of status through a K-1 fiancé visa entry. Upon approval of the adjustment of status application, the foreign spouse becomes a permanent resident of the United States. Subsequently, USCIS will issue a green card as evidence of this status. Permanent resident status gives a person the right to live permanently and work in the United States. In addition to the initial I-129F petition, there are other costs associated with a K-1 fiancé visa. There is an additional cost for the actual visa application and also an immigration medical exam. To clarify, the medical exam must be conducted by a physician approved by the embassy. Costs can vary based on country. Finally, foreign citizen spouses who plan to stay in the United States must adjust status to permanent residence. These costs are spread out over about a year. CitizenPath is an exceptional solution for do-it-yourselfers that want the reassurance they’re doing everything correctly. Users answer simple questions and receive ready-to-sign forms and detailed filing instructions. On the other hand, individuals with more complicated immigration histories or criminal issues should generally obtain legal advice from an immigration attorney who can help navigate this process. And What About the K-1’s Children? If the foreign citizen fiancé has minor children (unmarried and under age 21) that will also immigrate, there is no additional cost to include them on the same I-129F petition. However, each child will be required to obtain a medical exam and submit a separate visa application (DS-160). Upon approval, the child applicant receives a K-2 visa. K-2 child may generally enter the U.S. at the same time as the K-1 fiancé or shortly thereafter. Each child that will adjust status must have have separate fees. However, child applicants (under age 14) who apply at the same time as a parent may generally obtain a lower fee of $835. Persons who enter the United States on a K-1 fiancé visa potentially have a streamlined path to U.S. citizenship as well. Most applicants for U.S. citizenship through naturalization must have permanent resident status for five years. However, there’s a provision for permanent residents who are married to a U.S. citizen for a period of three years. These individuals are eligible for U.S. citizenship after just three years and may file the application (Form N-400, Application for Naturalization) up to 90 days before the three-year term is reached. CitizenPath provides simple, affordable, step-by-step guidance through USCIS immigration applications. Individuals, attorneys and non-profits use the service on desktop or mobile device to prepare immigration forms accurately, avoiding costly delays. CitizenPath allows users to try the service for free and provides a 100% money-back guarantee that USCIS will approve the application or petition. We provide support for the Petition for Alien Fiancé (Form I-129F), Petition for Alien Relative (Form I-130), Adjustment of Status (Form I-485), and several other immigration packages.